Of all the symbols on your car’s dashboard, the check engine light calls for the most urgent response. However, unlike other indicators, such as the temperature, battery, and door warnings, the check engine light is not always straightforward. Gas Cap Is Loose or Damaged: This issue is the easiest to resolve. As soon as the check engine light illuminates, pull over and check your gas cap. A loose cap allows fuel to evaporate, making your vehicle less efficient. Oxygen (O2) Sensor Is Malfunctioning: The O2 sensors measure the amount of unburned oxygen in your car’s exhaust system. A faulty one will increase your vehicle’s fuel consumption. 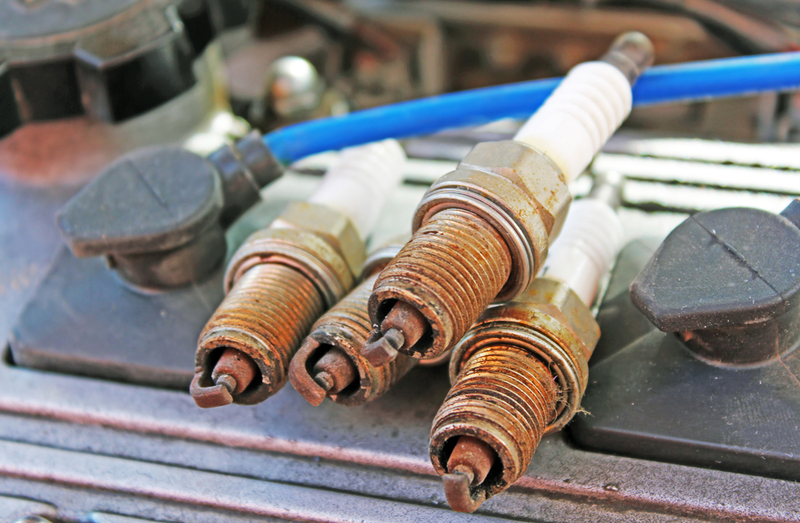 If left unfixed, it could also cause damage to your spark plugs or catalytic converter. Catalytic Converter Needs Replacing: This component converts carbon monoxide to carbon dioxide, making your vehicle less harmful to the environment. If it’s damaged, your car will be less fuel efficient and run at a higher temperature. Mass Airflow Sensor (MAF) Is Failing: The MAF balances the amount of air and fuel that enters your engine. A malfunctioning sensor can cause damage to the spark plugs, O2 sensors, and catalytic converter, and reduce engine performance. Spark Plugs Need Replacing: The spark plugs ignite the mixture of fuel and air within the combustion chamber, thus powering your engine. They need to be replaced periodically to maintain engine performance. Old or faulty spark plugs will lead to reduced power and fuel efficiency and can cause damage to the ignition coils and O2 sensors. If your check engine light turns on and you don’t notice anything wrong with your gas cap, bring your vehicle to Brown's Transmission Services & Full Service Auto Repairs in Newark, OH. They specialize in auto repair services, including vehicle diagnostics, transmission repair, and tire alignment. Call (740) 522-4459 to schedule an appointment, and visit their website for more information.